Zack Disor is more than excited to start school in another country—but he never expected to end up in another planet. Stuck in the strange world of Zajitar, Zack’s mysterious arrival catches the attention of an equally mysterious woman named Trezna, who belongs to a magical race called Enkanters. As he slowly pieces together how he arrived in her world, he begins to exhibit his own set of magical powers that are far more devastating that anything she’s ever seen. She helps him get it under control as Enkanters are hunted down by the technologically-advanced Therador Empire, who wants to harvest their powers. 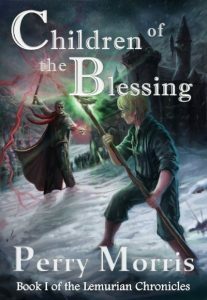 Zack joins Trezna’s small band of magical outcasts hoping to find a way home before things get much worse. But when war breaks out between Enkanters and the Therador, Trezna isn’t too keen on him leaving especially after discovering that his powers are intensifying with each passing day. Now he’s in a race against time as his only hope of ever returning home is her estranged brother-in-law who’s slowly turning to stone—and he just so happens to be working for the very Empire they’re at war with. But when the warring leaders learn that Zack is from the ‘mythical’ world of Earth, their war suddenly becomes all about him. This book is free from 03/21/2017 until 03/26/2017. in Design and currently work in the field of Interior Design and Architecture. Besides reading and writing, I volunteer in animal-assisted therapy and enjoy cooking. Davran returns to her place of birth in this sequel to ‘Fuel to the Fire’ to find her father leading the beginnings of a revolution. She is determined to join the attempt to overthrow the tyrannical ruler Saurian, even if it means dying for the cause. First they must recruit more people; convince them that dying while fighting for life is not suicide. But after spending her entire fifteen years disguised as a boy, she is even more determined to do so as a woman. Prophesy, it seems, has given her little choice in the matter. When Raki travels with her clan for their annual visit to the Homeland, she has no idea it would be the last time. An evil lurks in wait, seeking more than just death! 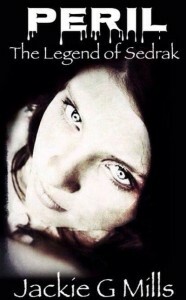 In her pursuit of the ancient darkness that changed her life, she discovers a truth hidden beneath layers of deception. Her reluctant travel companion Jakail hides his own secrets. Who is he and why is he hunting the creature? Together they face terrifying dangers in search of the wizard who can change their fortunes. As Raki creeps ever closer to the person she was born to be, their destinies intertwine. They must face the peril that awaits them—no matter what the cost.